They always say you shouldn't get tattoos with a significant other--but tons of people choose to ignore this advice, and even celebrities can succumb to the temptation of getting a matching tattoo while in a relationship. 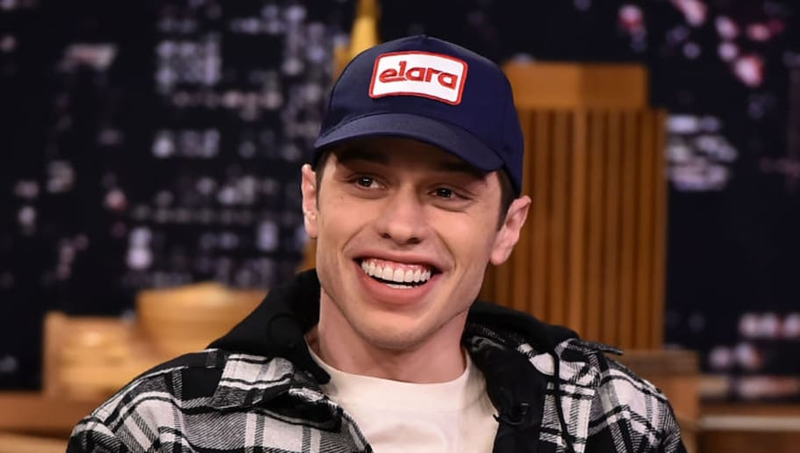 Ex-power couple Pete Davidson of Saturday Night Live and recent Grammy-winner Ariana Grande are a prime example of why you should think twice before going under the needle with your special someone. NYC tattoo artist John Mesa posted a picture of Davidson's inked back over the weekend with a caption referencing his latest work on the comedian. The new tat was of the iconic Tootsie Pop owl, but fans had more questions about another new addition to Davidson's collection of pieces. Partially obstructed by his chain necklace, fans took notice to the black and red "Cursed" tattoo on the back of Davidson's neck. The 25-year-old comedian used to display a tat that read "Mille Tendresse," or "a thousand tendernesses," which ex-fiancé Grande also had. The cryptic new tattoo has heads spinning as to why he chose "Cursed" as a cover up, and we doubt Grande would feel flattered by the selection. We're wondering if Pete will address the drama around his choice--but if not, we're sure fans will figure out his reasoning eventually.